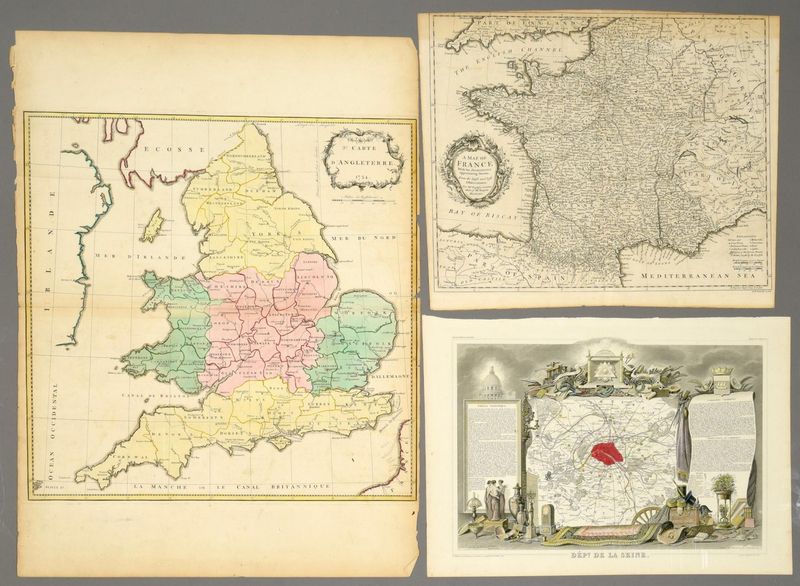 3 European Maps, including France and England. 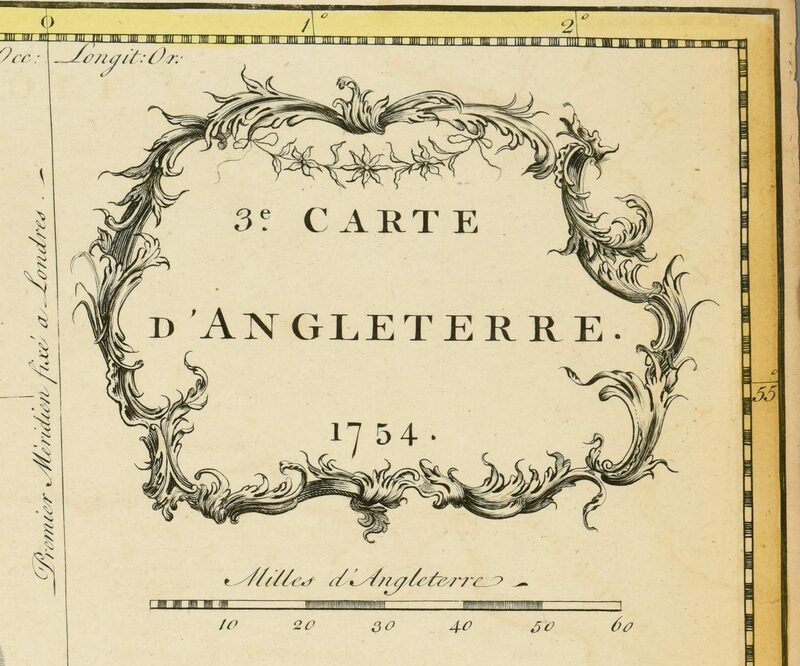 1st item: "Carte D'Angleterre 1754" by Jean Palairet. 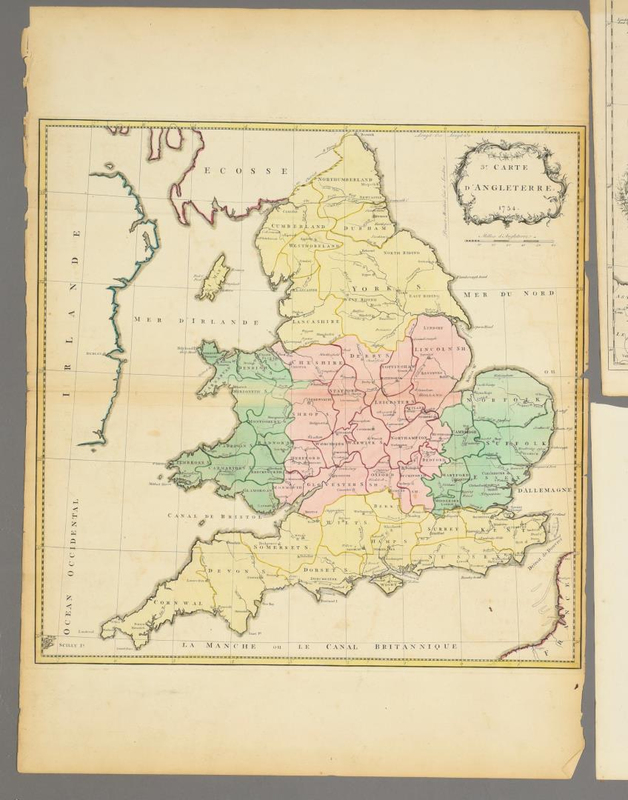 Colored map of England and Wales with French identifications. Counties, cities, towns, rivers, bodies of water, and points of interest marked. Ireland, Scotland, and France also present. Decorative title cartouche with scale of miles, top right. 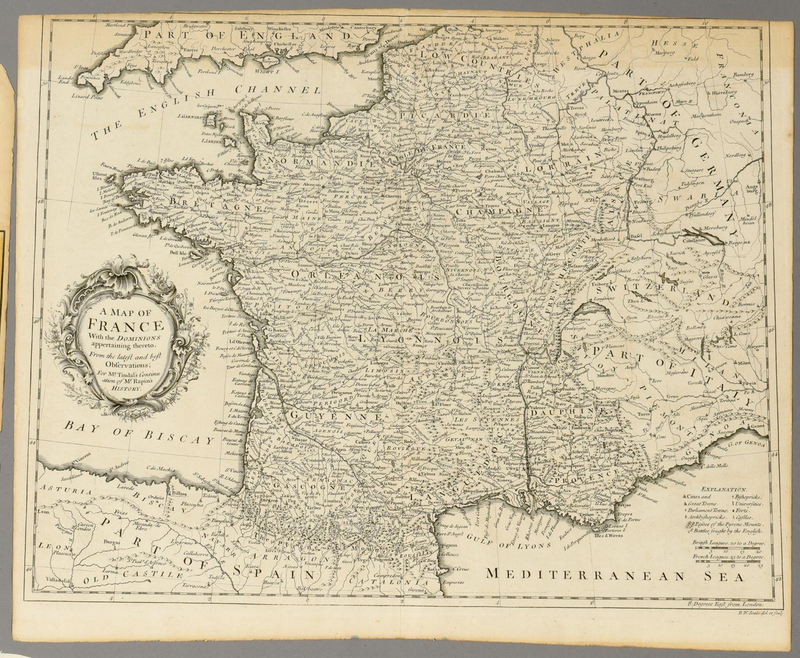 Image – 20-1/4" H x 20-5/8" W. Sheet – 28-3/4" H x 21-1/4" W. 2nd item: "A Map of France with the Dominions" by Richard William Seale, for "Mr. Tindal's Continuation of Mr. Rapins History", 1750. 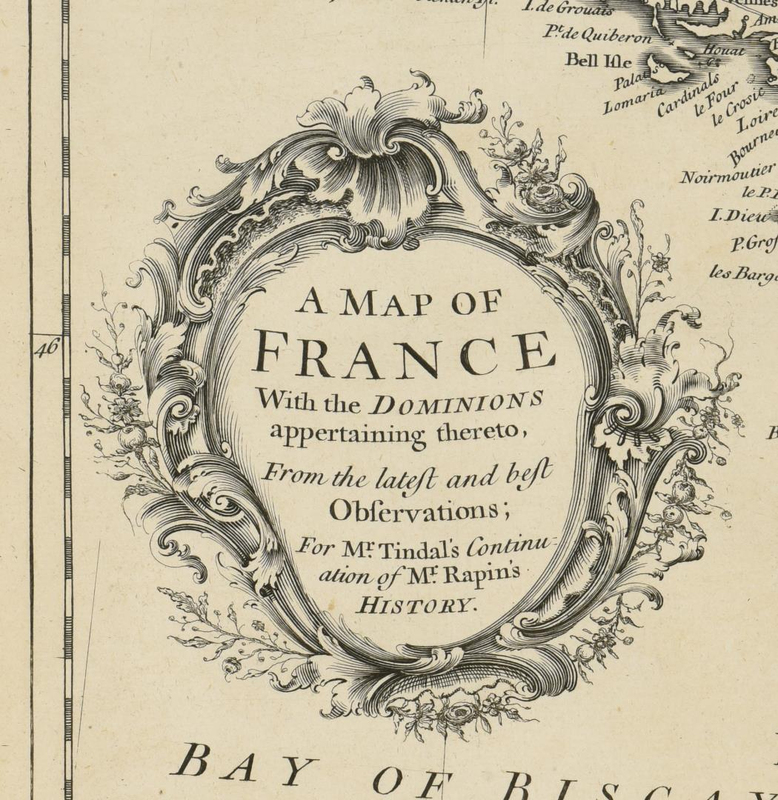 Uncolored map of France and surrounding territories, including parts of England, Germany, and Spain, with regions, cities, towns, rivers, bodies of water, mountain ranges, and points of interest marked. 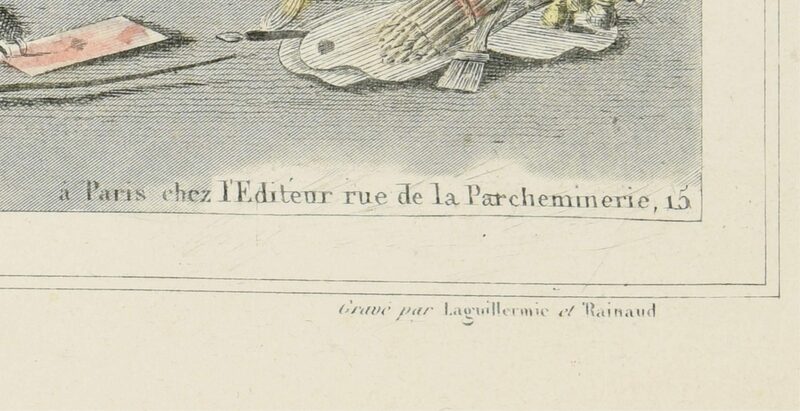 Decorative title cartouche, middle left. Explanation and 2 scales of miles, lower right. 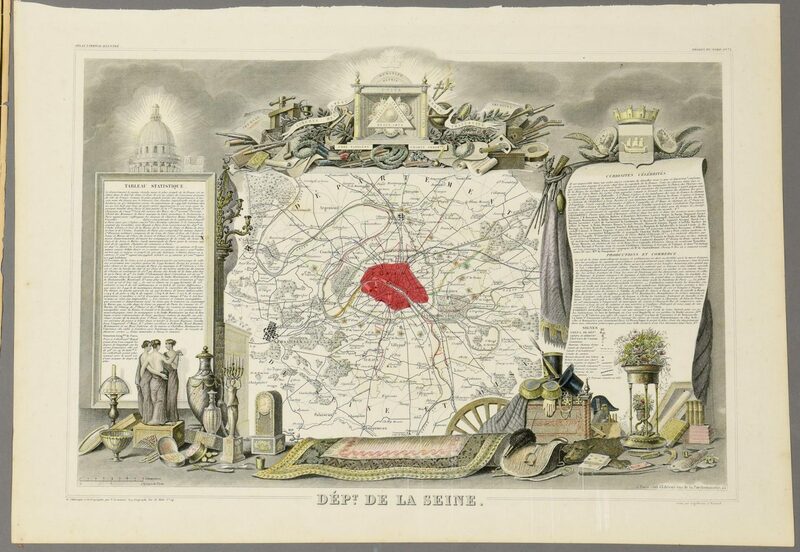 Image – 15" H x 18-1/2" W. Sheet – 16" H x 19-1/4" W. 3rd item: "Dept de la Seine" by Victor Levasseur, engraved by Laguillermie and Rainaud, for "Atlas National Illustre des 86 Departments et des Possessions De La France", 1833. 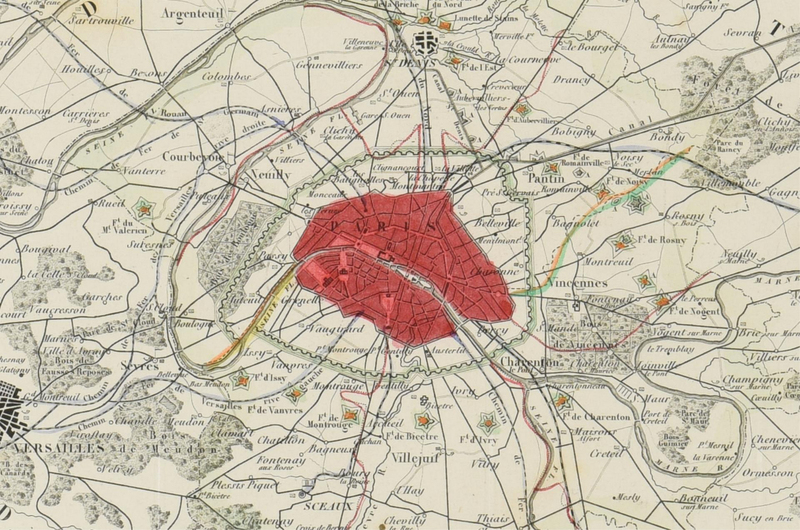 Colored map of Paris, with surrounding regions, including Versailles, some colored elements. 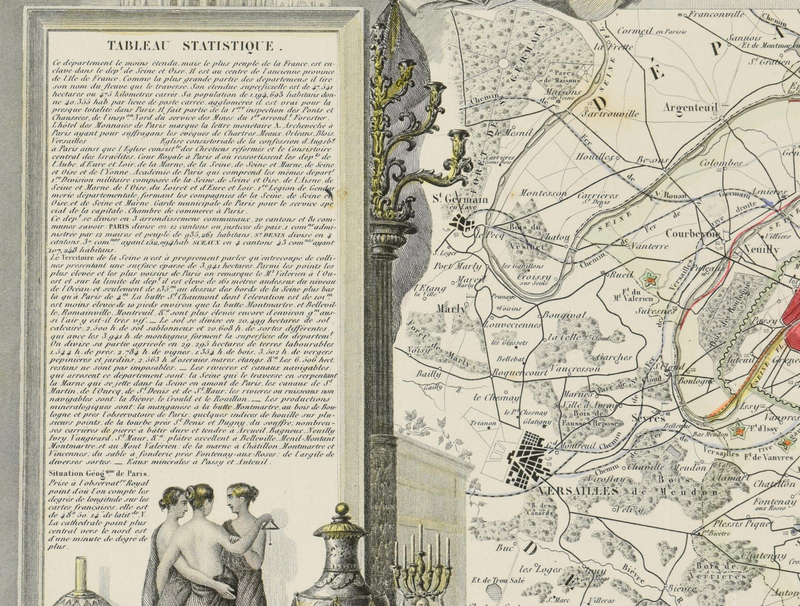 Surrounding map are sections of text describing statistics, curiosities and celebrities, and products and commerce. 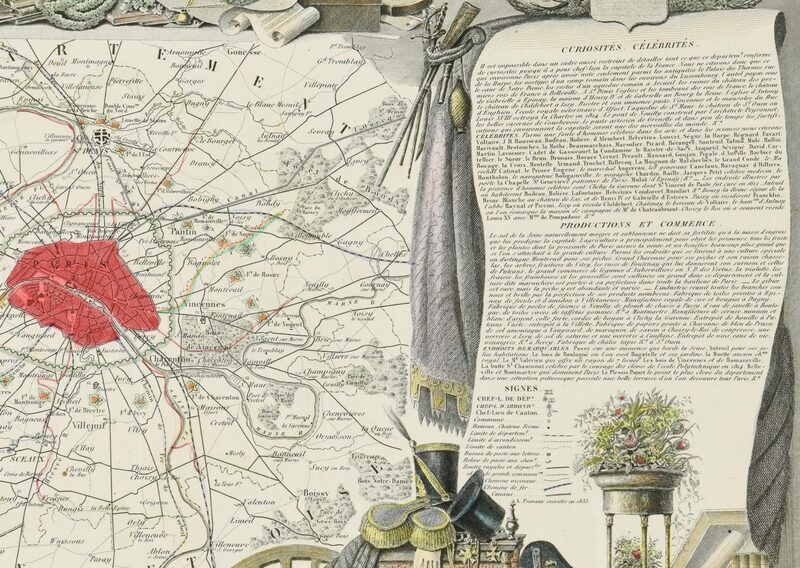 Images of local heros, products, landscapes, dress, and coat of arms with colored elements above and below map. 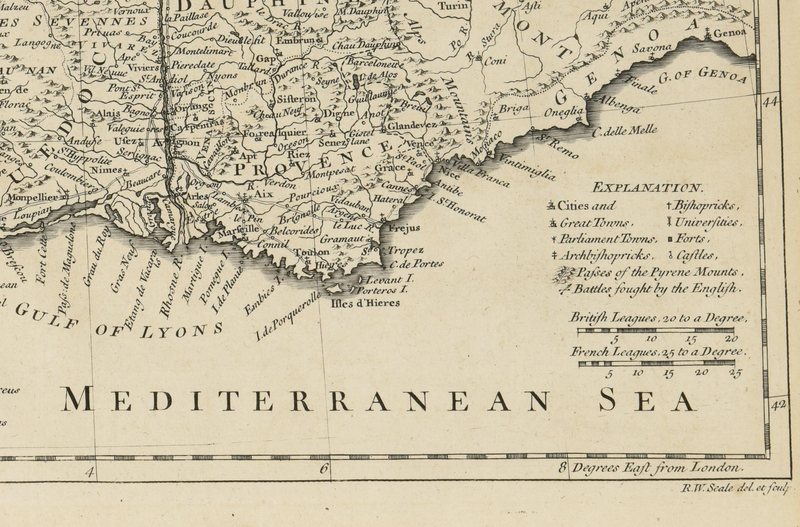 Image – 12" H x 17-3/8" W. Sheet – 14-1/8" H x 20-1/8" W. CONDITION: 1st item: Impression of other map visible lower right. Areas of toning on surface, largest area 1/2", lower middle left. Slight toning around edges. Loss, rips, tears, to edges of sheet. 2nd item: 1-5/8" line of toning, top left. Slight toning around edges, toning extends 1-5/8" on top edge. 3rd item: 2 brown stains, 3/8" top middle right, and 1/8" middle left. Slight toning around edges.